1. Heat oil in a large saucepan, add onion and cook for 5 minutes. Add garlic and spices and cook for a further minute before adding potatoes and stock. Bring to the boil, reduce heat and simmer for 25-30 minutes or until potato is tender. 2. Remove soup from heat and blend until smooth. Stir in chickpeas and milk then return to heat and warm through without boiling. 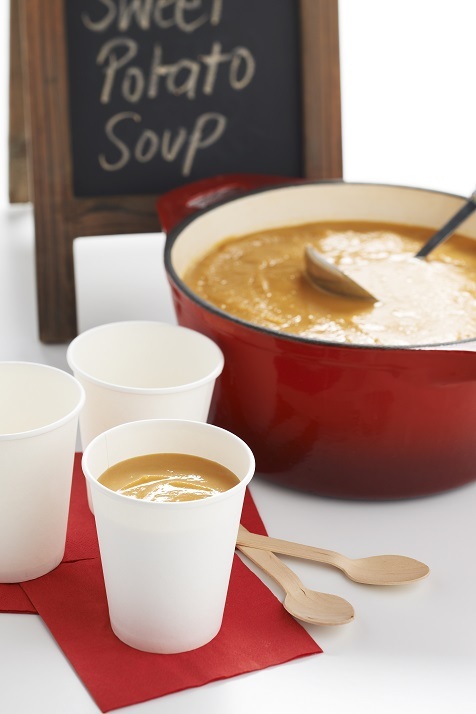 Serve in small insulated cups.